A white fish that is appreciated for its mild taste, clean and buttery flavor, and meaty texture. 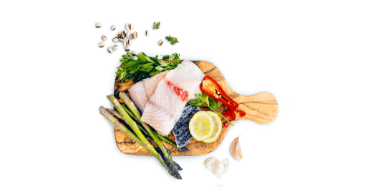 The fish are fed a predominantly plant based protein with a minimal amount of sustainably sourced fishmeal and fish oil. 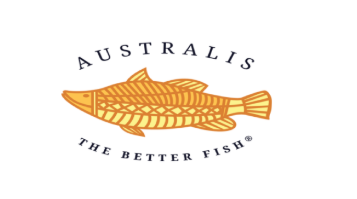 The Monterey Bay Aquarium has given Australis Barramundi the “Best Choice” label (the first ocean-farmed finfish to receive this rating). It’s versatile! Methods of preparation include: Sashimi, ceviche, grilling, searing, roasting, frying, poaching, and smoking. An excellent source of lean protein and only half the calories of farmed salmon. The founder of Australis Barramundi is Josh Goldman. He has worked in the aquaculture field for over 30 years. He spent 3 full years on a global quest to find the highest quality fish to farm. After testing over 30 species, he discovered Barramundi. As they say, the rest is history!